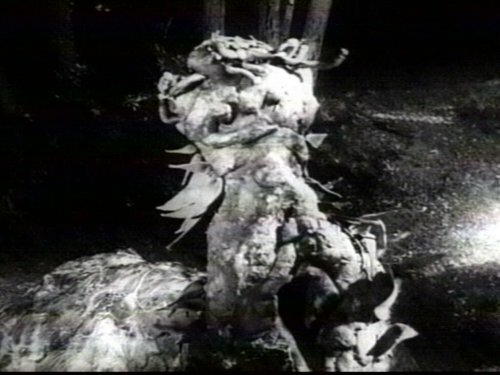 The 1964 movie The Creeping Terror is one of the central texts in the canon of So Bad It’s Good. Though, as with Manos, Hands of Fate or Monster A Go-Go, you’re probably better off watching the Mystery Science Theater 3000 version. The Creeping Terror recounted the landing of an alien spacecraft in the California countryside. A biological probe resembling an oversized slug constructed of tubing and carpet scraps shuffled forth, propelled by the barely-concealed feet of the extras toiling underneath the costume. As with other ultra-low-budget films, The Creeping Terror was largely shot without sound. An off-screen narrator was dubbed in to explain what in the heck was happening.